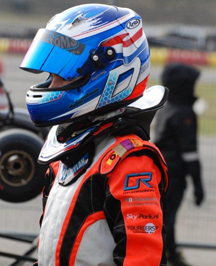 For my kart activities I am looking for sponsors. I have several sponsorship packages which would allow each company in a sporting way to market your brand to work. But your company has other advantages: you come into contact with other companies and to support young talent. Are the above packages are too expensive or do you have a better idea? There I am of course open. Every contribution, big or small, I'm happy with it. Finally, you can still join my club of 50. - As a welcome gift unique club Dylanracingcap 50.